The holiday break week is upon us, and now it’s time to spend all that gift money from your stocking, under the tree, or those sweet, sweet cash refunds. If you’ve got money to burn, B&H Photo Video has you covered with a great deal on a new graphics card. 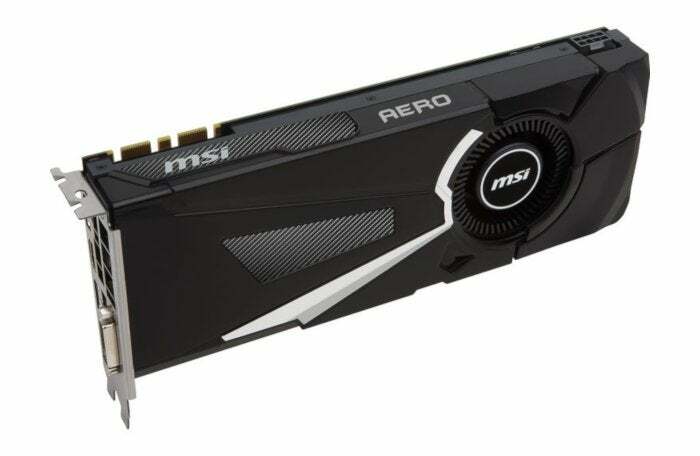 The MSI GeForce GTX 1070 Ti Aero 8G is $339 todayRemove non-product link after a $20 rebate. That is a fantastic deal considering most GTX 1070 Ti cards are north of $400 right now. In addition to the graphics card, you get Nvidia’s Monster Hunter World for free. You also get the GeForce Fortnite Frenzy Game Bundle, which gives you some in-game goodies including the Counterattack Set and 2,000 V-Bucks. The GTX 1070 Ti is a rocking card for 1440p gaming on ultra-fast gaming displays. If you’re using a standard 1080p screen you can dial up every video setting to the max and just let it fly. The GTX 1070 Ti will also eat virtual reality games for breakfast. If that’s not enough performance for you, the GTX1070 Ti lends itself very well to overclocking for close to GTX 1080 levels of performance. Check out our guide to overclocking graphics cards to ramp up your GPU using software such as MSI’s own Afterburner software.